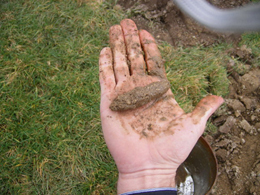 A percolation test is a method of assessing the hydraulic assimilation capacity of a given soil type. (i.e. 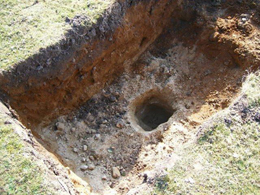 how much water can pass through the soil pores) by excavating a small area and monitoring the time taken for a given amount of water to disperse. 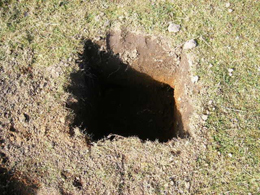 In the percolation area, the soil and subsoil are used to treat and dispose of effluent arising from septic tanks, in an environmentally safe manner. 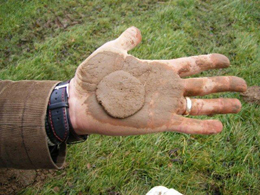 Trial hole tests and the derived ‘T’ value (this may be obtained from the Planning Department) indicate as to whether the subsoil percolation rate is high enough to allow the effluent to pass through without ponding but low enough to enable purification. Septic tank / percolation areas should be located within the site and constructed in accordance with the provisions of S.R. 6 (1991) published by Eolas. Percolation test holes and the water table test hole must be prepared in the proposed percolation areas, not elsewhere on the site.